With testing requirements becoming more and more demanding, engineers are looking for quality solutions that can adapt with the current, rapidly changing technologies. The Agilent DSA90804 oscilloscope is an 8GHz solution designed to meet the everyday demands that today’s technician faces. Its advanced industry technology combined with proven reliability is an excellent example of the Agilent Infiniium product line’s high quality design and capability. This precision oscilloscope was designed for meeting precise high speed measurement requirements with minimal downtimes. It is engineered to offer professionals unparalleled measurement accuracy in real time. With high speed measurements, some conventional oscilloscopes are vulnerable to measurement errors. Not the Agilent DSA90804. It allows engineers to make needed measurements with remarkable speed, assists with demanding compliance tests, and can quickly debug the toughest designs with an ease the technician will appreciate. The oscilloscope features the one of the lowest noise floors achievable in today’s industry. On this scope of bandwidth class, the Agilent DSA90804A provides professionals with an unmatched testing precision. Additionally, it features full-bandwidth probing solutions to enhance industry measurements. The hardware accelerates de-embedding techniques and equalization offerings making it suitable for a wide range of related testing demands. To enhance the statistical accuracy of the measurements, the oscilloscope includes 1Gbyte memory to allow more data collection. The integrated deep memory is suitable for comprehensive testing to allow precise transmitter and receiver measurements. Its configurable modeling allows engineers to isolate the harmful effects of stray channel elements. The oscilloscope also allows professionals to insert channel models during waveform simulations. With it, the technician is has the ability to view waveforms simulations in physically demanding locations. 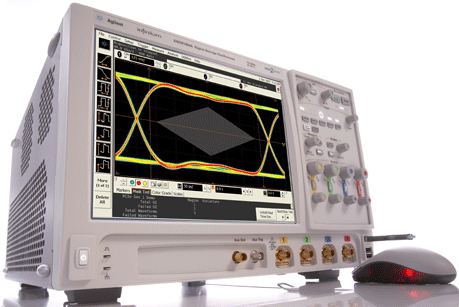 To enhance simulation’s accuracy, the oscilloscope allows compensation for the loading caused by probes and fixtures. For industry compliance testing, the Agilent DSA90804A offers users many powerful features. The oscilloscope features essential applications to ensure compliance to the commercial industry standards including PCI, SATA, USB, and Ethernet applications. To make sure that the correct testing methodology is carried out, the oscilloscope offers set-up wizards which are combined with intelligent test filtering, increasing productivity and accuracy when compliance testing. Also, with its embedded advanced technology, it is possible to achieve Generic Serial Triggering and Zone Qualify capabilities. These unique capabilities are not easily achievable using conventional oscilloscopes. My Infiniium allows users to execute customized scripts, load desired set up, deliver automated measurements, and save screen shots. 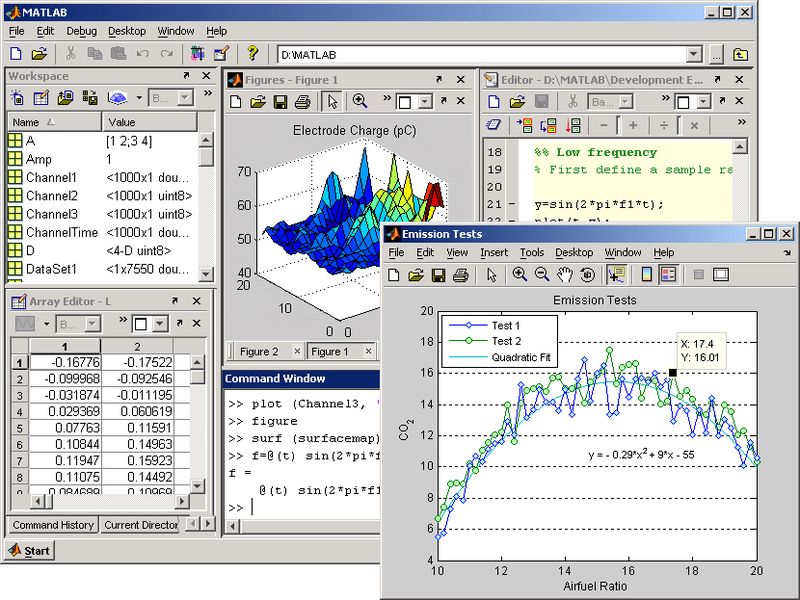 Users can also take advantage of its MATLAB compatibility to take customization to a new level. The data analysis software environment is ideal for designing and applying filters, visualizing oscilloscope signals in 3D and 2D plots, building test applications, and automating measurements. The DSA90804A oscilloscope’s intelligent design allows professionals to debug challenging designs with confidence and ease. The oscilloscope features ideal measurement applications for advanced triggering, jitter testing, serial debugging and protocol viewing, rapid automations, and measurement customization. It is very versatile, making it suitable for a broad range of debug testing and analysis challenges and an excellent choice for the calibration lab. Contact us with your specific needs or for more information. This entry was posted in Site News and tagged Agilent DSA90804. Bookmark the permalink.